Enjoy multiple different game modes, each capable of providing a unique and refreshing experience. 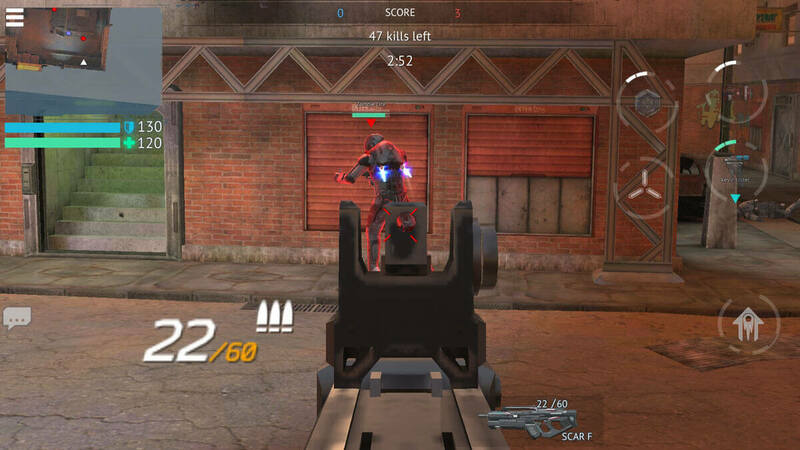 Infinity Ops is a phenomenal mobile based FPS game that completely embodies how far mobile based shooting games have come over the past few years. 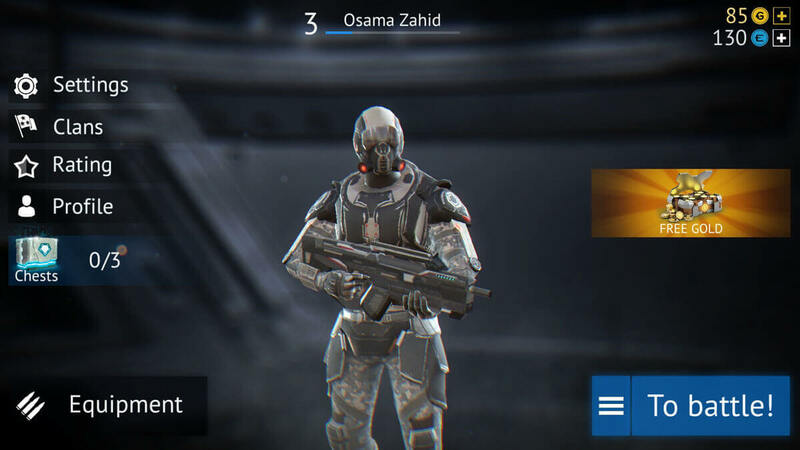 On top of being an extremely well optimized game that’ll run smoothly on most devices, Infinity Ops is filled to the brim with features and it’s definitely recommended for players who are on the lookout for a top-of-the-line FPS that they can enjoy in the comfort of their mobile device. As soon as you start playing Infinity Ops, you’ll be taken into a tutorial battle that’s been designed to teach players the fundamentals of the game. The tutorial battle is fairly easy to follow and, while it may be a tad bit lengthier than the average tutorial sequence, we still recommend paying close attention to every single one of its details in order to make sure that you understand everything. The gameplay of Infinity Ops is absolutely loaded with features and, while the game deserves praise for various different things, the things that stood out to us the most were its movement and shooting mechanics. Moving around in Infinity Ops feels extremely smooth thanks to the reduced gravity and, of course, the various mobility based items available such as the jetpacks that can give players the ability to soar across the entire map with relative ease. The shooting also feels delightful and this is mainly because the weapons in the game shoot automatically when players are aiming directly at their opponents. The auto shooting feature is definitely a game changer and we hope to see it implemented in other mobile based FPS games. 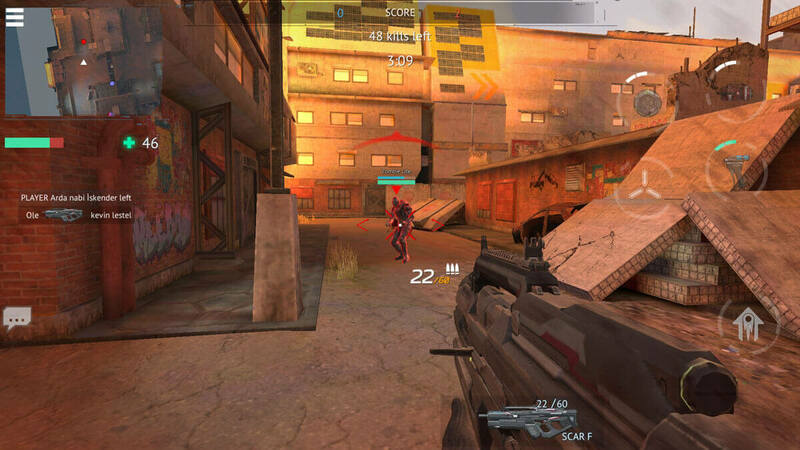 Alongside the spot-on core gameplay mechanics, Infinity Ops comes with an array of other things that are sure to keep players hooked in the long run. There are various game modes to choose from, tons upon tons of different weapons to fight with and, of course, a variety of maps that players are going to love. There’s even a clans feature that allows players to form clans with friends that they’ve made in the game in order to enjoy a more social experience. The visuals of Infinity Ops are extremely high quality and they’ve definitely raised the bar for other mobile based FPS games to come in the future. The textures of the game are loaded with detail, the weapon designs are spectacular, the special effects and animations are gorgeous, the interface is clean and, all things considered, this is definitely one of the best looking FPS games available on the mobile platform. Infinity Ops is free to download and play but it does have bonus in-game content that players can acquire in exchange for real world money thanks to the micro-transactions. All said and done, Infinity Ops is one of the best FPS games that you can get right now if you’re looking for a game that you can enjoy on the go.